Could Welsh RE rethink lead to radical changes in UK schools? 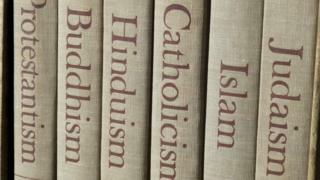 The possible renaming or revamping of religious education (RE) in Welsh schools has excited much comment - a lot of it positive, sparking hopes among those who want to see major changes to RE in schools across the UK. Many argue that despite the UK becoming a more secular country over recent decades, the radicalisation of some youngsters in Wales and elsewhere means that a solid grounding in religious and ethical education has never been more vital. The Welsh government minister for education and skills, Huw Lewis, told the Welsh assembly over the summer that he wanted to see a transformation of the current curriculum on religion to help combat extremism, with RE to be extended and renamed as "religion, philosophy and ethics". The aim is to allow children to "ponder ideas around ethics and citizenship and what it means to be a citizen of a free country", with schools needing to "rise to the challenge of community cohesion". That followed a review of the curriculum in Welsh schools by Prof Graham Donaldson, a former chief inspector of schools, who urged pupils to be "ethical, informed citizens of the world". It also came after a major report on the English education system urged a radical overhaul of RE in English schools. The report was compiled by the former Education Secretary, Charles Clarke, and religious education expert Prof Linda Woodhead from Lancaster University. "A systematic rethink of the way we deal with religion in schools is long overdue, so the initiative from Wales is welcome. RE urgently needs to be strengthened and resourced, whilst the way religion is handled in other parts of school life, like assemblies, needs to be updated," according to Prof Woodhead. "There's no magic bullet for dealing with religious extremism, but making sure all children are equipped with the knowledge and confidence to deal critically with their own and other faiths has to be an essential part of any long-term solution." RE has been one of those subjects that has suffered from an unglamorous reputation in schools, and the perception that it is one of the easier subjects. In 2013, a report by Ofsted found that more than half of schools in England were failing to teach the subject adequately. The National Association of Teachers of Religious Education (NATRE) found a quarter of the 700 RE teachers they surveyed had done no RE during their teacher training, while nearly half had done less than three hours. The Welsh move was also welcomed by Accord, the campaigning group for inclusive education. Its chairman, Rabbi Dr Jonathan Romain, described the change as a positive development. "It will help clarify the big difference between religious education - a fascinating academic subject that is very appropriate for schools - and religious instruction, a personal belief system that is best served through churches and other religious institutions. The key question is what sort of society do we want? If it is one that is knowledgeable and tolerant, then the education syllabus should be broad-based and inclusive." He is also keen that faith schools in particular ensure their pupils are informed about a broad range of religions and beliefs - not just their own. The British Humanist Association also approved of the Welsh move. "Whilst very little is currently known about the proposals for RE in Wales, Huw Lewis has said very clearly that the subject will be set up so as to best promote community cohesion and allow children to grapple with ethical and philosophical ideas for themselves," says its chief executive, Andrew Copson. "That can only be welcomed and suggests a long overdue move towards a values-led syllabus that's objective, impartial and fully inclusive of the range of religious and non-religious beliefs that make up our society." "Unfortunately, there's been no suggestion as yet that the government in Westminster has any similar plans for English schools, so we'll just have to hope that some of this positive intent manages to find its way across the border." Rudolf Eliott Lockhart, chief executive of the Religious Education Council of England and Wales, points out that religious education today is very different to what many people remember from their schooldays. "As well as the study of religious and non-religious world views, RE already touches upon philosophical, moral and ethical topics which are highly topical in today's world." His body supports the strengthening of all the disciplines, including philosophy, history, theology and even some sociology, which it sees as "essential for excellent RE". He also wants to see action taken to reverse the decline in the short-course GCSE, pointing out concerns that this year, more than 85,000 fewer pupils completed Key Stage 4 without an RE qualification compared with 2012. "Another key issue is the lack of qualified RE teachers," says Lockhart. "RS (religious studies) has been shown to be as demanding as geography and more demanding than English, so it is vital that it is taught by specialists, particularly as from September 2016 students will begin to prepare for the new RS GCSE exam." Whether better religious education can help combat Islamist radicalisation of the young in the UK or elsewhere is another matter. But at a time that religious differences are shaping life in many parts of the world, to sometimes bitter effect, better knowledge of the beliefs, philosophies and values that can divide or unite people around the globe can only help - while ignorance is not an option.